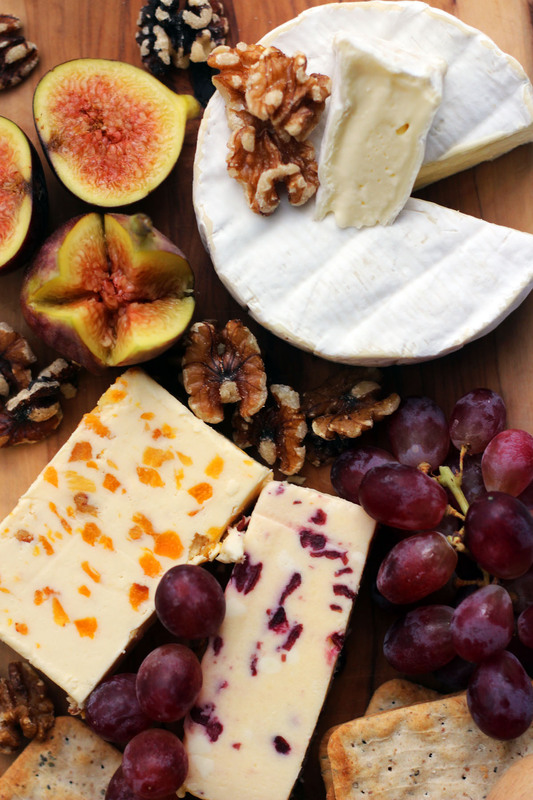 With the official announcement last month that cheese is addictive as crack, it’s no surprise that you’re on to a winner when you serve up a cheese board at the end of a meal. 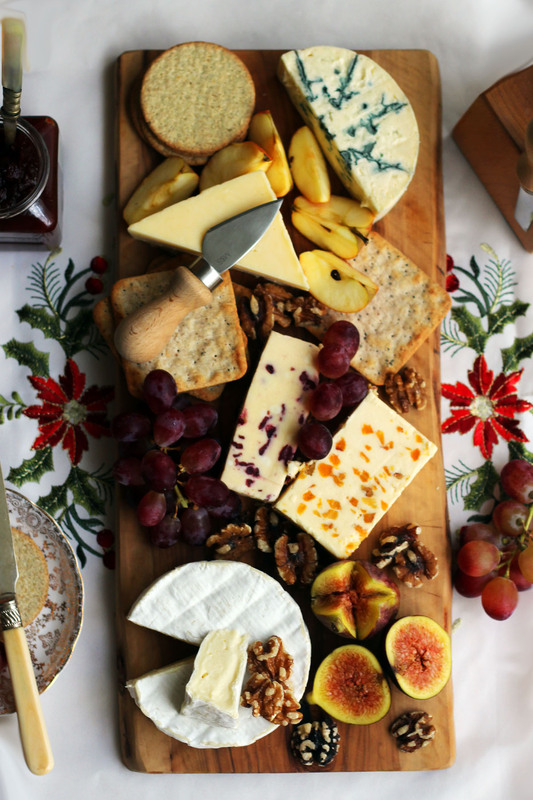 I love cheese as much as the next person, and I’m often left wanting more, so to avoid disappointed guests this Christmas I’ve put together the ultimate guide to putting together a cheese board just in time for Christmas. If you follow my advice you won’t have to worry when bringing out the final course, there’s no need to worry about technical skill or fussy eaters. The quality of the produce is what wins you brownie points here, and by covering all ends of the cheesey spectrum there is bound to be something for everyone. Before we talk about the tasty toppings, lets talk about the vehicle. How is the cheese getting into your mouth? It’s a simple question. Here I like a bit of variety. For oozing french cheeses its nice to have hunks of baguette, oat crackers bring a more rustic charm to the board and Jacobs cream crackers will keep the kids happy. 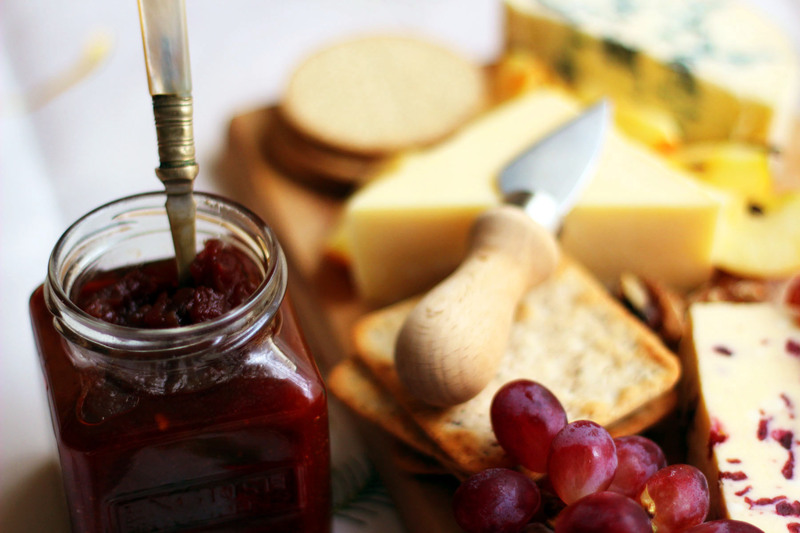 Whether you favour bread or crackers make sure there’s plenty to go with your cheese. Cheese and fruit is a match made in heaven. The classic combination is a bunch or two of grapes, laid casually on the cheese platter. I dare you to go wild and add figs, apples, pears and even winter berries. And now for the star of the show. It’s not as easy as ensuring you have classics like cheddar, Stilton and brie plus an extra just because. Make sure you have at least one soft, semi-soft, semi-hard and hard cheese. You can then think about the different flavours of the cheeses you choose within these categories. I am to have one light and creamy, one really stinky, something nutty and something fruity. Soft cheeses are easily spread on to a cracker or the vehicle of your choice. 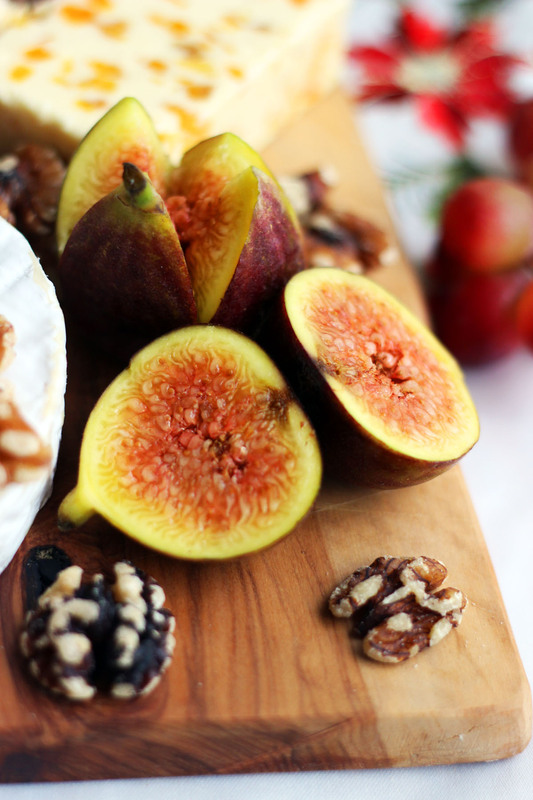 Brie, Camembert and other cheeses that melt away at room temperature are a great addition to a cheese board at this end of the spectrum as are whipped cheeses. The key to a good semi-soft cheese is that its just about spreadable. Once it gives it it thick, creamy and decadent. Most blue cheeses fall into this category. Once you’ve got the cheese sorted, crackers ready and something sweet for the side you can think about any additional extras. Nuts give fantastic texture to a board, a sour or spicy chutney is essential and don’t forget a dessert wine to drink alongside! So there you have it. Follow my simple guide to building a cheese board and I guarantee your cheese board won’t disappoint! Thanks Linda! 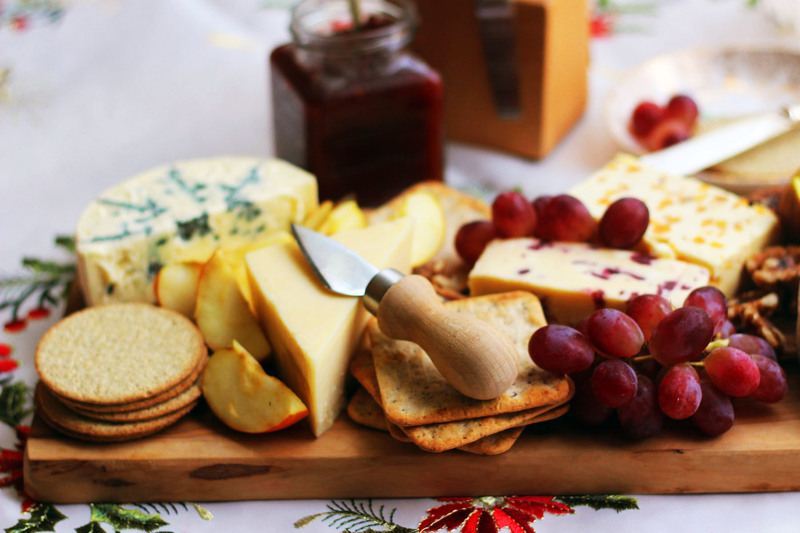 We love doing a cheese board like this once all the guests have gone home too – it’s such a quick and easy supper! I go against the grain and never have crackers. Just cheese. Maybe with a few grapes? I come from a cheese obsessive family and we love a cheese board at Christmas. I’ve never seen any so beautiful! I can’t wait to use this brilliant guide over the festive season. I could happily eat the cheeseboard instead of dinner! Stinky blue ones are my favourites, especially with grapes and wholemeal crackers. I’m with you there Sarah! I do love a stinky blue and a good whole meal cracker. A woman after my own heart.